Keno is one of the very popular luck based games one can find around. Quite similar to most lottery games, the player gets to choose certain numbers and then hopes for a high match possibility between the numbers that he picked and those randomly drawn by the machine. Keno is widely known for its two formats which are live and video and more recently, its online module. The live keno for instance involves the player using a crayon and paper to indicate the number that he has picked. Then every few minutes some numbers will be drawn from a hopper filled with numbered balls while in the video version which is just like the online module, the player touched a screen or uses a wand to pick his numbers then the machine randomly makes the draw. As discussed earlier, Keno is a luck based game and like games of this nature, the odds could not be poorer. However, there are rules that guide the game which we hope to share with you while also giving you a glimpse into how much you might lose by playing the game. The basic rules guiding the game of Keno includes the player making a wager and then indicating which numbers he is willing to pick. The number he chooses are recorded on a paper slip if it is in the live keno version while in the video version, touching the screen does the trick. The player is allowed to pick his numbers from between 1-80 and the number of picks he gets is dependent on the game. However, the range is usually from 2 to 10 or from 1 to 15. Another interesting thing about the game of Keno is that it randomly choses 20 out of the 80 balls available. Where the game choses any of the numbers that the players picked it is known as a catch and the player’s earnings is basically the number of catches he gets multiplied by the value of a unique catch. For instance, where the value of a catch is actively 0.50 $, if the game chooses 9 of the numbers that the player already picked, then the player is looking at some 4.50 $ earnings for his troubles. Despite the shaky odds in the game of Keno, several surveys have been carried out across many casinos to determine the possible returns that a player should expect from playing the game and a particular survey probing into this concept in 2001 revealed that in Las Vegas for instance the returns ranged from 65% to 80% which loosely translates to a house edge of 20% to 35%. This information places Keno at the fore front of games with the poorest possible odds in the online casino industry. 11 years later, a similar survey was conducted among casino players in Laughlin who play the online module of Keno, it was discovered that a return rate of about 50% to 74% was possible. Among San Diego casinos, a higher return range of not less than 84% to a maximum of 95% was achievable. 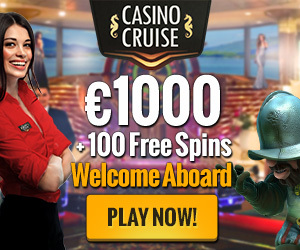 This information also shows that the odds are more favorable in the video or online Keno version than in the live on but importantly, one must keep in mind that the rate of play on a machine is significantly faster than the version with more human contact. So take for instance that there is an average bet size per game, on the video version, a player is most certain to lose more money than the live module. Our suggestion is that if you must play Keno, the basic skill is to be able to decide where to play and the frequency of play. However, there is no serious implication rising from the number that is chosen. 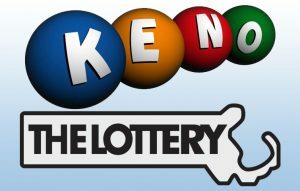 Unlike the rumors being constantly peddled, the legitimate keno games have quite better odds and each ball has a 1 in 80 chance of being drawn per game. 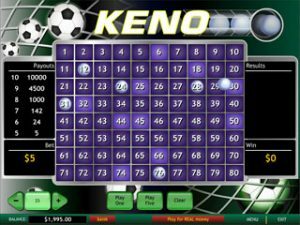 There are also several Keno calculators that can be used to calculate the odds to have an idea of how much you can expect to earn per bet. Finally, anyone who needs to analyze the game before playing is most likely not playing Keno because the odds in the online module of the game are just as bad as slot machines so if you are looking at the least possible loss in a casino game, then perhaps the video poker is what you want to try your hands on.